Hi, Dear Sir.. May i know your route for Stage and City Bus(Not Express Bus). Is it all is updated ? 2015 updated ? Hi, this is not updated. We are currently working out the new platform. Hello, may i know how to go to Bank Rakyat at Presint 15 from Presint 11? Hi, you can take Nadi Putra L07 bus to Alamanda Putrajaya, then take L06 to Precint 15. Hi, you can take Nadi Putra L05. Hi, you can take KLIA Transit from Salak Tinggi to Tasek Selatan, then take LRT from Tasek Selatan to Plaza Rakyat. Walk to Puduraya and take Sabak Bernam express to Sabak Bernam. Hi, you can take RapidkL T428. May I know is the bus T428 is accessible from Putrajaya Sentral? I have waited there but there's no bus T428 stop at Putrajaya Sentral. Tq. Hi, you need to take T428 from Cyberjaya Transport Terminal, not Putrajaya Sentral. Hi.May I know which bus should I take from putrajaya sentral to ioi city mall ? Hi, you can take Nadi Bus J08 or J09. 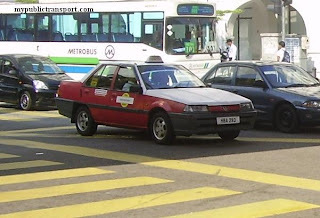 Hi, if not mistaken should be Subang Airport Shuttle. Hi, you can take Nadi Putra L02. May i know frequent? Every 30mins? Hi, it is about every 15 minutes during peak hour and every 30 minutes during non peak hour. 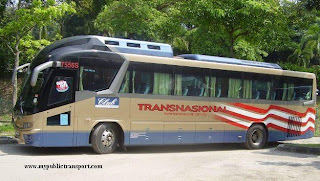 Hi, you can take Nadi L07 from Precint 11 to Putrajaya Sentral, then take J08 to IOI City Mall. 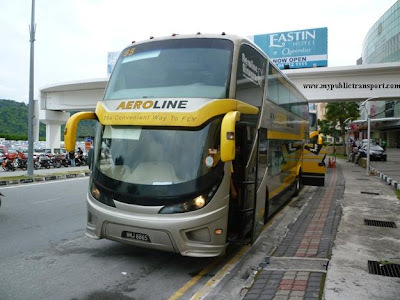 Which bus can i take from putra perdana puchong to ioi city mall? Hi, you can take 601 from Putra Perdana to IOI Mall Puchong, then take 609 to IOI City Mall. This 609 is a new route where the service may not be stable yet. Dear Sir, May I know which bus from banting Terminal to Hentian bas Klang Utara, Lorong Batu Tiga? Hi, you can take Bus 730. Hello, how to get to the kementerian belia sukan from shell presint 8? Hi, you can take L03 depends on which are of Precint 8 are you from. Which Bus entrance P9G ? Hi, you can take Nadi Putra L01. How can I go to cyberjaya from ss15 subang jaya? 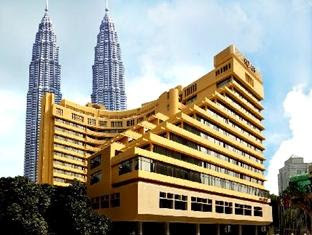 Well if you are traveling everyday, you can take Cyberjaya DTS R09 from Summit Hotel. If you're only travel once. You can take RapidKL 771 or 641 to KL Sentral, then take KLIA transit to Putrajaya Terminal, then you can take 520 to Cyberjaya. hi may i know how to go to kastam office in presint 2? 501 rite from ktm serdang? how about from presint 2 to ktm serdang? am i supposed to go to putrajaya sentral then hop on metro bus from there? Yes you can take 501 from Serdang KTM. hi can i know how to go pusat perkhidmatan pos laju presint 3 from putrajaya sentral? Hi can I know which bus from presint 5 Ministry of tourism and culture to presint 18? 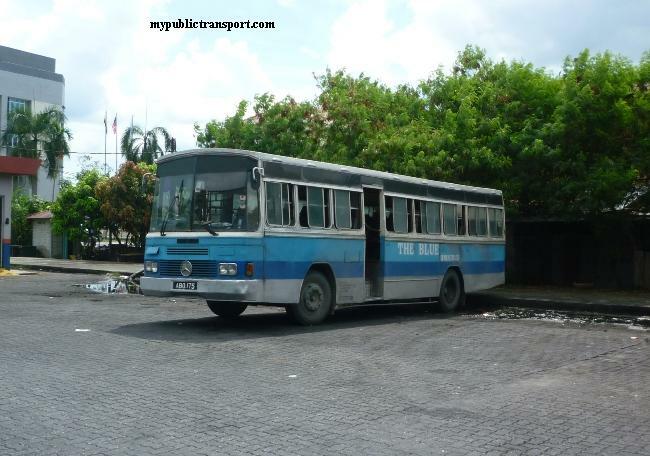 Hi, you can take Nadi Bus L10. 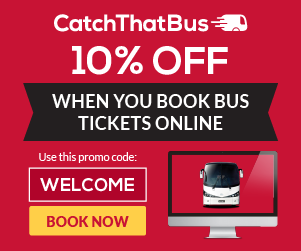 Hi, how to get to shaftbury in cyberjaya from presint 8 putrajaya? Hi, you can take Nadi Putra J01. I am staying in precinct 14, is there a bus from park and ride precinct 14 to SMK P16? Hi, you can take Nadi Putra L10. Assalamualaikum, my son waited for bus L05 at the bus stop opposite Surau Al Manar Precinct 14 (we got the information form Park and Ride Precinct 14 that he can board bus L05 to SMK P16 at this bus stop)... Unfortunately at 6.50AM, bus L05 just passed by and didn't stop causing him to arrive late to school as I have to send him to school. Can you please help me into this matter... it could be he got the wrong information, or he waited at the wrong bus stop? Hi, the information is right. Sometimes this may due to the drivers problem. You can choose to take L05 and L10 from Park and Ride Precint 14 directly. Only L05 go pass opposite of Surau Al Manar to Precint 16. Hi, there is no bus to USJ 21. So it is better to take an Uber or cab directly. is there any buses from kl sentral to taylor lakeside? Hi, you can take LRT to Kelana Jaya, then take RapidKL 783 to PJS7 and walk to Taylor Lakeside. 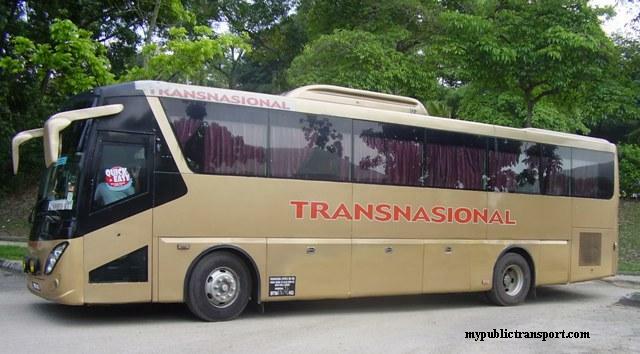 Sir, what bus should I take from putra perdana to Cyberjaya transport terminal? Hi, you need to take Metrobus 601 to KL Sentral, then take KLIA transit to Putrajaya Sentral, then take Nadi 520 to Cyberjaya Transport Terminal. Hi, you can take Nadi Putra L09. Hi, you can take KLIA Transit. Hello,can you tell which bus or train I have to take from USJ 1,Subang Permai to reach University Malaya and from which stations? Hi, you can take 770 or 771 from USJ 1 near Angsana Apartment to Mid Valley, then take RapidKL T788 or T790 from North Court Mid Valley to Universiti LRT, then take RapidKL T789 to enter University Malaya. hi.. which bus i need to take from putrajaya sentral to the nearest jabatan pendaftaran negara? Hi, you can take Nadi L03, L04, L05, L09. hi. how to get from putrajaya sentral to PICC? Hi, you can take Nadi L05. hai..how to go to wisma putra from precint 14? is it bus no 501? Hi, you can take L02 or L05 to Putrajaya Sentral, then take L03 to Wisma Putra. Hi, you can take L08 to Precint 2, then take L03 or L09 to P18. Hi, you can take Nadi L04. Hi, Can I know how to get to JPA from Kl Sentral? And how to get to kl sentral from JPA? Hi, you can take KLIA transit to Putrajaya Central, then take L01, L02, L05, L06,L07, L09 and etc to Parcel D, Putrajaya for JPA. Hi, how to get from JPA to SOGO KL? You can use the same way and get back to KL Sentral, then take GoKL Red Line free bus to KL Sogo. Hi, you can take RapidKL 822. Hi,may I know how to get to Zebra Square KL from Pasar Seni? Hi, you can walk to Lebuh Pudu and take RapidKL 421. Hi, you can take LRT to Titiwangsa, then take RapidKL 254 to SPCA. hi,how to get to putrajaya from wangsa maju lrt? Hi, you can take LRT from Wangsa Maju to KL Sentral, then take KLIA Transit or Nadi Putra 500 to Putrajaya. Hi,how to get to MOHE at presint 5 from flat hijau at presint 9? Hi, you can directly take Nadi Putra L04. hai . can i know if there any bus from station bas banting to ktm klang ? Hi, you can take 730 or 734.
hai can i know how to go to ktm klang from politeknik banting ? 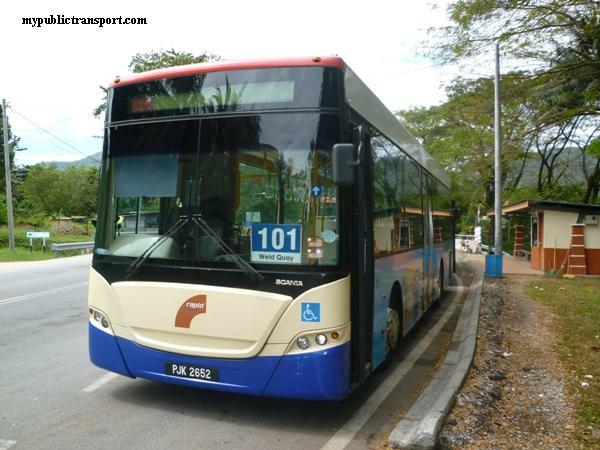 Hi, you can take Cityliner 730 to Klang bus terminal and walk to KTM Klang. Hi, do you have the updated schedule? Hi, how can I go to KPTM from Putrajaya Sentral by bus? What is the bus number and how frequent. Tq. 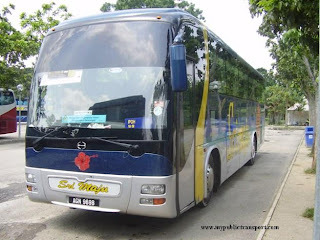 Hi, you can take Nadi Putra L01, L02, L05 and etc , they are every 30 minutes. Hi, how can I go from putrajaya sentral to wisma putra and vice versa? What is the frequency of the bus? Thanks in advance. Hi, you can take L03, D25 or D26, they are every 30 minutes. hi, where should i wait in KL Sentral to get the bus nadi putra no 500 to Putrajay? Hi, you can get it from the bus stop beside Petron. 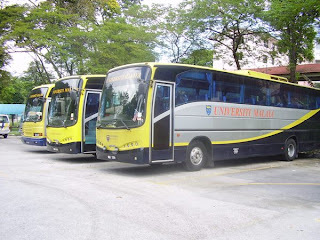 Hi.Is there any nadi putra bus from Bsp Skypark Condominium to Mahsa University Saujana Putra campus?If available,what is the starting time?Thank you. Hi, you can take RapidKL 506 or Nadi Putra 609. Hi Nadi Putra, if i want to take bus 520 from putrajaya central to HP global center, IT building Cyber 8, Persiaran Rimba Permai, 63000 Cyberjaya. Which bus station should i stop and wait at the same place back to putrajaya central? Hi, you can stop at Cyberjaya Firestation near to Persiaran Rimba Permai, then you can walk to HP Global Center. Btw, this is not Nadi Putra Site.You can just go to opposite direction for return bus. hi, how to go to botanical garden, presint 1 from ktm serdang? Hi, you can take Nadi Putra 501. Hi, you can first take J01 from Desa Pinggiran Putra to Precint14 Park & Ride, then take L02 to Putrajaya Sentral. then you can take 520 from Putrajaya to Shaftbury Cyberjaya. All of the bus starts from 6am and comes every 30 minutes. Hi, you can take Nadi Putra 502 from Serdang KTM to prrecint 2. Hi, you can take LRT from Sri Petaling to Tasik Selatan, then take KLIA Transit to Putrajaya Sentral. If you need to go to Cyberjaya, just take Nadi 520 from Putrajaya Sentral. Hi, you can take Nadi Putra 500 to Mid Valley, then take KTM to KL Sentral. You can also take KLIA Transit directly from Putrajaya to KL Sentral. hi. is there any bus to go lrt putra heights from bandar saujana putra? Hi, you can take nadi T762. 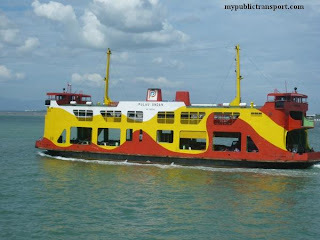 Hi, may I know how to go to Banting terminal from Putrajaya Sentral? Hi, you can take Cityliner 731. 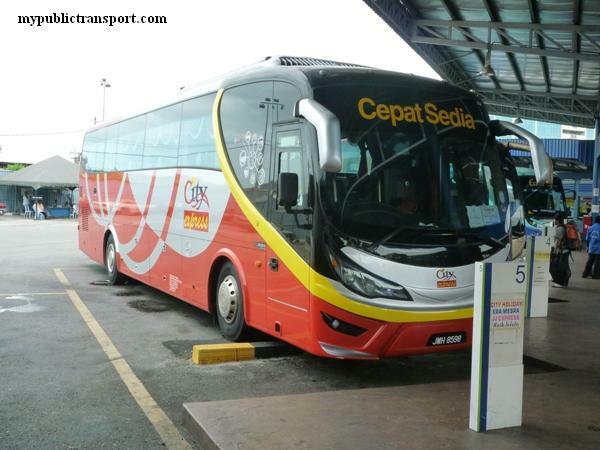 Hi, you can take Nadi Putra 502.
how to reach HSBC putrajaya from putrajaya sentral by bus? Hi, you can take Nadi Putra 520. 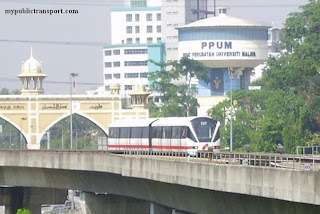 How to reach ioi city mall putrajaya from ktm serdang? 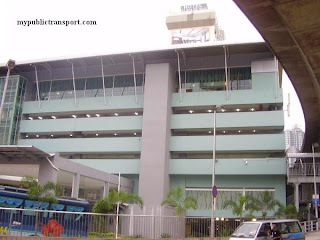 How to reach jpm (jabatan perdana menteri) from Putrajaya terminal by bus? Hi, you can take Nadi L01/L02. Hi, may I know if any bus go to Taman Serdang Perdana,Seri Kembangan? Hi, there is no bus enter there. 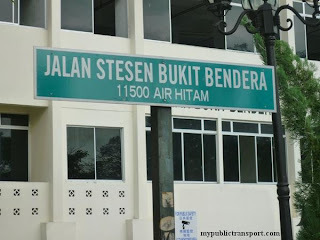 The nearest is T570 from Sungai Besi, but it don't enter Taman Serdang Perdana, it only go through the main road. Hi, you can walk to Lebuh Pudu Bus HUb and take Nadi Putra 500. Hi, may i know which bus will pass by the Dell/Bomba? Is T428 still available? If yes, may i have the link of the bus route? Thank you. HI. How i can go to lrt puchong prima from putra perdana? Hi, you can take RapidKL 602.
hi, how to go botanical garden from putrajaya central? Hi, you can take 502. Hi, you can take T790 or PJ01 to Federal Highway, then take 700, 701 or 710 to Klang Bus terminal. Then you can take 704 to Klang Sentral. I'm waiting for the T760 bus to LRT Putra Heights, i saw a bus T760 green color at 8.12am never pick up a passenger if only 1 or 2 person. Then what for they set a time if they cannot pick up a people. Waste others time. Anyone know to where i should make a complaint about this? Hi, may i know how to get to alamanda from p11 and vice versa? Hi, you can take L07. 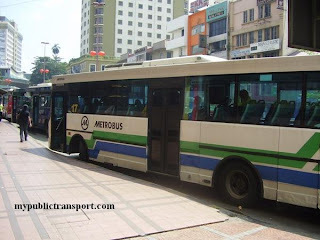 Hi, may i know how to get Subang Jaya KTM from Putrajaya by bus?